Today’s CITY GUIDE is brought to you by sisters Ciera and Jasmine born and raised in New Orleans. 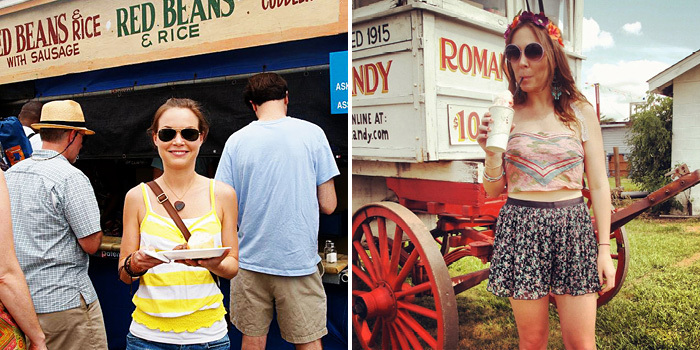 As soon as Summer hits, so do the cravings! 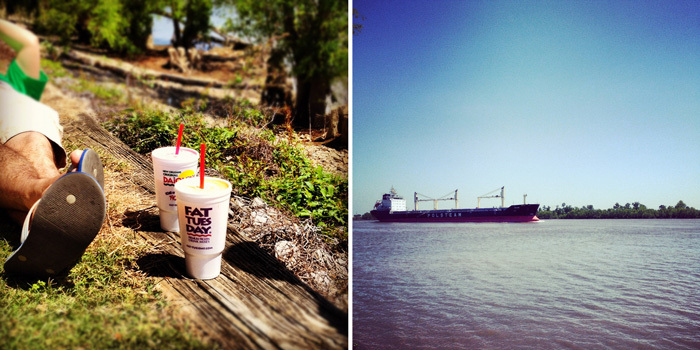 This is one of our favorite stops on a sweltering New Orleans day. Snow cones got nothin’ on a Snoball y’all! Unlike sno cones, the ice making up a snoball is shaved very finely resulting in soft, snowlike ice. When it comes to options, Plum Street offers a plethora of flavors and they never hold back on the syrup. Serving their snoballs in chinese take-out boxes with a plastic bag on the bottom to catch any syrup or melted overflow is their trademark. 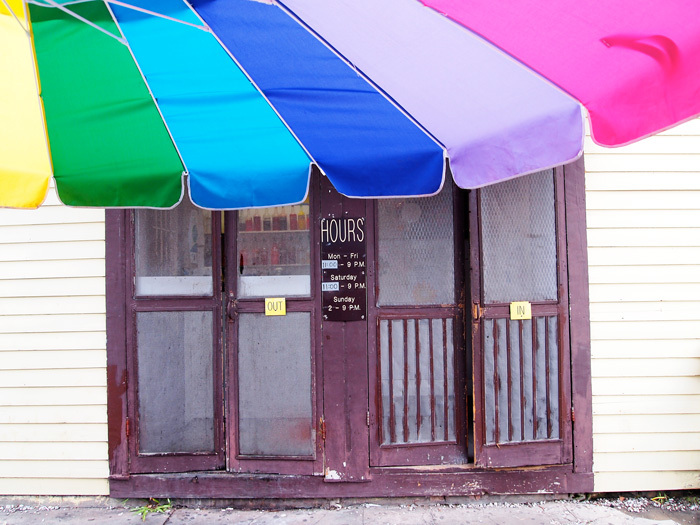 Plum Street is a small shed-type store with the fast moving line wrapping in and out of the double front doors! Don’t forget to top off your snoball with condensed milk for an even sweeter, creamier treat! An area on the Riverfront part of Audubon Park, The Fly gets it’s name from a butterfly shaped shelter that was built to get a better view of the river (now demolished after damage from river traffic). The Fly is a great place for every type of person whether you are into playing sports, drinking daquiris with friends or just looking to relax by lying in the grass and reading a book. You will find groups having picnics or crawfish boils, couples enjoying the view, sunbathers keeping up their bronzed Summer skin, kids playing sports, and exercisers jogging or riding bikes. Around the backside of The Fly is another great spot to hang out if you want a more relaxing shady area. 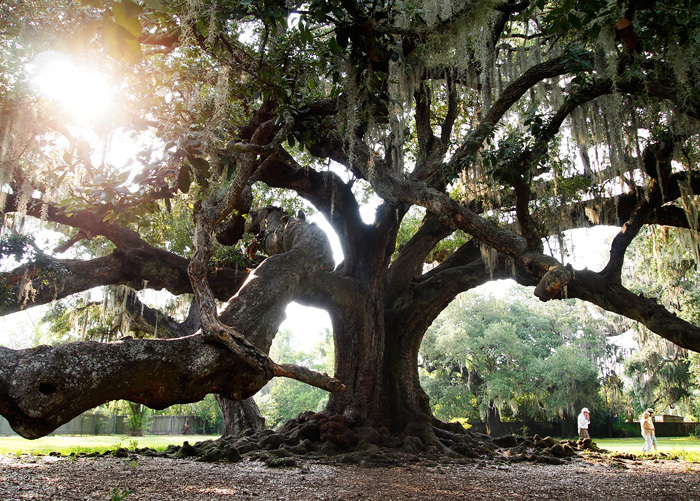 “The Tree” as it is commonly called by the locals is an area behind Audubon Zoo that homes a massive Oak tree with spanish moss hanging beautifully from the branches. It is here you will sometimes find the amazing site of a person sitting high in the middle of the splitting trunk to beat on their drum. There has even been beautiful outdoor weddings, and fashion photo shoots taken place here. 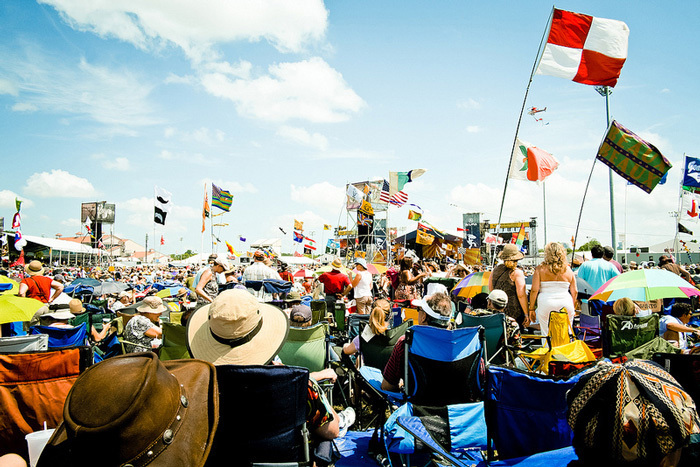 Our favorite 2 weeks all year round in New Orleans is during Jazz Fest! The one event to mark your calendars for if you are planning a trip to New Orleans is Jazz Fest, always held the last weekend of April, and the first of May. Walking in the gates of this fest for the first time every year is a truly captivating feeling. There is nothing that we love more than enjoying some of the best food that New Orleans has to offer, some of the best live performances of our times, viewing some amazing artwork, and basking in the heat of Spring time in New Orleans. The city does not sleep after the Fest is over either. The night life during these two weeks are filled with just as much fun, and special live music shows as one city can possibly handle. As locals, Bourbon Street doesn’t really exist to us. 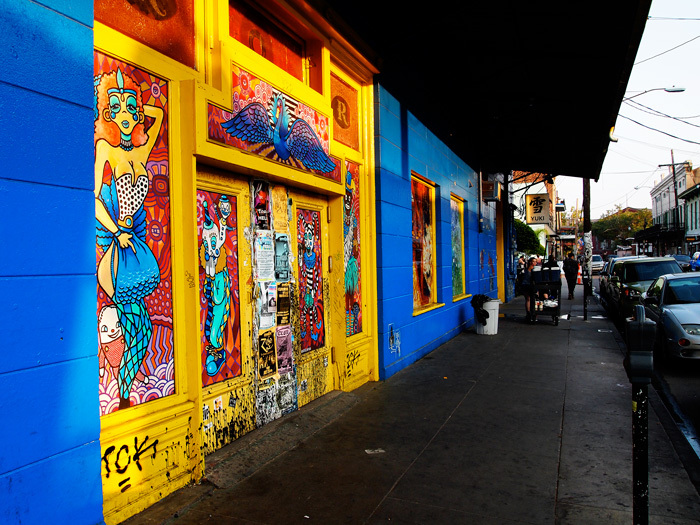 The area of the city called The Marigny is where we prefer to spend our nights out. When we are discussing with our friends the plans for the night, “Frenchmen” is usually the first suggestion. This typically refers to a few blocks on Frenchmen Street between Decatur and Royal with many bars, most with amazing live music, to choose from. Also, in walking distance from Frenchmen Street are two other bars that we frequent when in this area, R Bar and Mimi’s. The R Bar, technically the Royal Street Inn and Bar is a laid back dive bar downstairs, and Inn upstairs where your bartender checks you in if staying there. Mimi’s is our favorite place to get some tapas before starting the night off or for a late night snack. The goat cheese croquetas drizzled with honey and carmalized onions and bottle of prosecco makes for a wonderful start to our nights out in the Marigny. This is the perfect little spot right in historic Jackson Square. At Stanley, Chef Scott Boswell serves classic New Orleans comfort food with a unique twist. 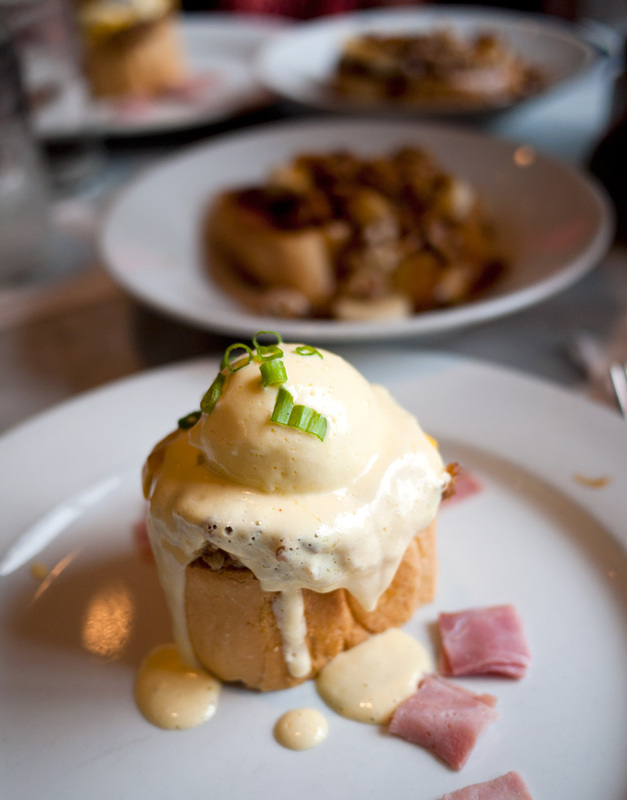 Although they are open daily from 7am to 10pm we definatly recommend hitting Stanely up for brunch! The location provides a beautiful backdrop of St. Louis Cathedral as well as the musicians and artist who are in the square daily. With all day breakfast and brunch, delicious sandwiches, a soda fountain, house-made ice cream desserts, you can’t really go wrong! Last time we ordered two dishes to split, the Breaux Bridge Benedict and Bananas Foster French Toast (it has ice cream on it…for BREAKFAST!) and were in awe of how delicious they were! *Jazz Fest photo 1 by Zander White. Featured image by joseph a.
this makes me yearn for NOLA. it’s been over 5 years since i’ve been back… thanks for inspiring a trip! Adolfo’s on Frenchman is my favorite! Thanks for sharing a favorite, Kelly!! That’s how I feel about Edinburgh, Scotland. It’s been 5 years and I want to go back NOW! I hope to visit New Orleans sometime too. Love that city. I’ve only been twice, but I do feel like in those two times I made a sort of connection there. (Doing Habitat for Humanity helped… being in the thick of the mess was pretty eye-opening.) 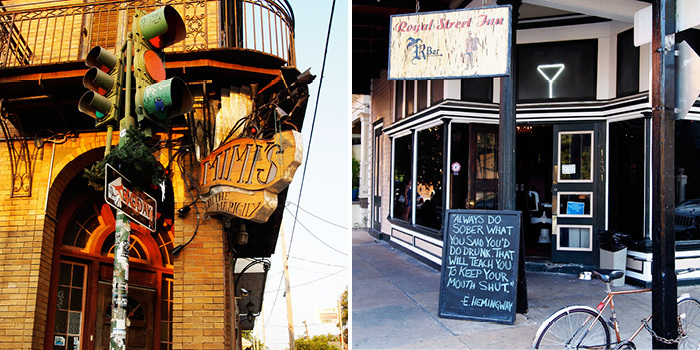 Even in the aftermath of Katrina, though, that place still had more character and vibrancy than a lot of places. Thanks for having us Allison! I loving sharing insider tips for New Orleans, so if anyone is planning a trip, let me know and I can definitely share some more ideas! 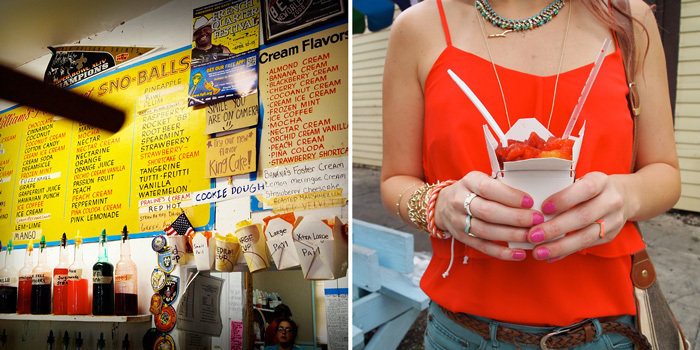 There is nothing like a real, authentic New Orleans snoball. I had no idea that these existed. I want one!! I’m glad another local confirms that these are great places to visit. Now I need to go!